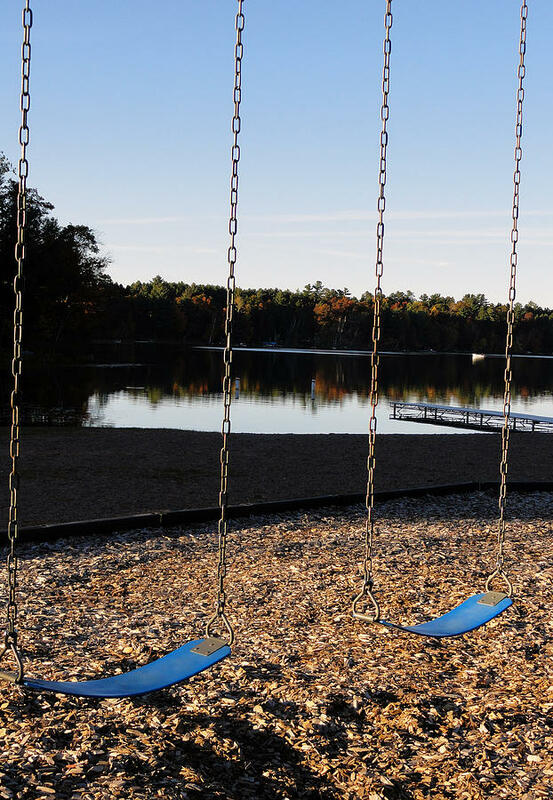 U R Here - On The Swings is a photograph by Sue Duda which was uploaded on October 6th, 2010. 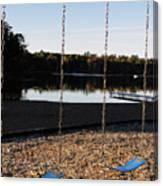 "U R HERE - On the Swings" was photographed at Brandy Lake Park, Woodruff, WI. Pretend you are sitting on a swing with a friend or family member for a little "guided imagery". Enjoy the peaceful quiet lake on a fall evening. SMALL to VERY LARGE PRINTS, CANVAS GICLEES and GREETING CARDS available here.